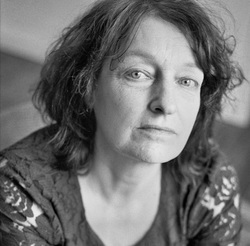 Anthea Nicholson is a writer and visual artist who lives between England and Tbilisi in Georgia. She gained an MA with distinction in creative writing at Bath Spa University, 2005. What did you most enjoy about writing The Banner of the Passing Clouds? Writing is terribly difficult for me and all the way through I lived in a love hate relationship to the novel. The rhythm and routine of work, though, is a kind of solace and a vital source of the deepest joy, the contrary solitude of living with these fictional characters who become more real than the real world and inhabit my being with more clarity of sense than the sense of who on earth I am. The Banner of the Passing Clouds is set in Soviet-era Georgia. I’m curious about potential differences between its reception there and in Britain and whether there’s anything that’s particularly surprised you in that regard. I don't think my novel will be very widely read in Georgia, certainly not beyond the Capital city where there is only one bookshop selling English language publications. I imagine the intelligent Georgian reader would experience that tension between real life situations and my fictionalised parallels, and would perhaps be stimulated to probe the shady fields where factual and imagined truths converge. It’s an intriguing idea to represent Soviet rule through the device of a narrator who believes that Stalin is physically occupying his body, and quite a challenge to convince the reader of this too. How did you come up with this idea and how did you develop the voice? Once I found Iosif as a living person in my head he took over the running of the story. He told me about his inner Stalin right at the start, and I had had no idea about it until then. This is how it was and I can't explain it in any other way. For myself I constantly questioned Iosif's occupation by the tyrant and this pushed him to a greater honesty as he reveals more of his own wrong doings and contradictions. Iosif isn’t a particularly pleasant character. Did you nevertheless enjoy spending time in his company? flaws and anxieties are surely no worse than most people suffer under the stress of living in false times, and I would say that this applies to the present 'West' as much as to my historical Soviet Georgia. I felt a deep sympathy for him, even when he has to commit a murder, his position of vulnerability and passion is intensely human. Iosif is born as his sister is dying and his younger brother is clearly his parents’ favoured child. Hardly ideal conditions for the development of a well-rounded individual, it’s little wonder he feels, from an early age, that everything is broken. Are we to read The Banner of the Passing Clouds as a psychological, as well as a political, novel? The family and the State become interchangeable in Iosif's world. The wrongs of society are mirrored in the damage of family life, and here I would add that much damage comes from Iosif's parents and brother as well as Iosif's own pedantic care taking. As the Soviet system self-destructed so do the families in my novel become destroyed or scattered. At the end we find Iosif in a non-nuclear relationship, homeless and without a secure social structure and yet this is the very point of renewal and hope. Perhaps his struggle is one we could relate to, as the tensions of family, social and economic pressures bear down on the soul and cause us to pause and question the validity of accepted norms. I very much enjoyed how song is a recurring motif within the novel: Iosif’s comfortable government job has him recording folk songs while, in sharp contrast to his charismatic brother, his own singing voice is stifled by his inner Stalin. What drew you to this theme? Again, this lack of singing voice can be seen as lack of voice in any sense, although I did not set out with this theme, these sorts of things develop subtly and only after finishing reveal their layers of meaning. At first it was just that as a child Iosif had to carry his Stalin burden and it made him terribly self conscious and unable to relax and, for example, sing, and then when his brother becomes such a well known singer it sets the seal on Iosif's estrangement from the world around him. In fact his brother, Poliko, is more at home in the Soviet world than Iosif, even though it is Poliko who must abandon the Motherland. Although the novel confronts the bleakness of the Soviet system, some of the worst atrocities occur offstage. (For example, Poliko’s experiences in Afghanistan can only be assumed from his disturbed state of mind on returning home.) What influenced your decision to protect the reader from these extremes? Iosif often notes that while he is trying to record the truth of events he can never experience or hear the innermost thoughts of those around him. This first person voice sets the tone of distance within the close proximity of family life. Iosif can only imagine what goes on beyond his experience. These private imaginings are riddled with half truths and doubts along with real insights, as with political systems where truth is invariably tainted or manipulated for the greater good. In the case of the atrocities surrounding Iosif's family it was the very fact of his inability to witness and perhaps control events that drives Iosif to such extreme psychological distress. I hoped to convey this distress to the reader and allow them to fill in off stage action with their own imaginings, and I think technically this allows the story to breathe and have an open aspect. What inspired the title The Banner of the Passing Clouds? The title is taken from a poem by Boris Pasternak, Still More Sultry Dawn, quoted in the epigraph. Pasternak was a great friend of the Georgian poets of the 1920/30's and when I read his poem the line just seemed to fit my story. Can you tell us about its path to publication? Five years of writing various Georgian stories which did not feel right, then a rejection of a very early form of this novel, then several messy drafts of Iosif's story towards the final draft, then finding my wonderful agent who sold the novel to Granta Books, then an intense and instructive period working with Granta's editor, also involving me in the cover design decisions. I can't speak about it yet. I can't single one out in terms of imagining having written it myself, but as a child my family read passages aloud from John Bunyon's Pilgrim's Progress and my childhood perception of its moody landscape and hard road remains a fundamental colouring of my creative mind. Your obvious passion for books is uplifting, it makes all the hard work and doubts involved in creating a novel worth while when the pages meet such an avid reader as yourself. Thanks!